One of the coolest web technologies is CSS3 in web development. With new additions like gradient, text shadow, box shadow and border radius, it is now possible to customize buttons with CSS styling alone and with simple HTML markup. CSS3 buttons with few lines of codes help you in reducing the web development time. By default, this class of buttons is found on most of the pages today. We can customise a button with colour and size by adding a chain of CSS classes. It has an additional feature of RGBA, which is same as RGB but with an additional alpha layer. So you can set the opacity of a colour. It lets you change button background that contains div without the need to adjust button style. 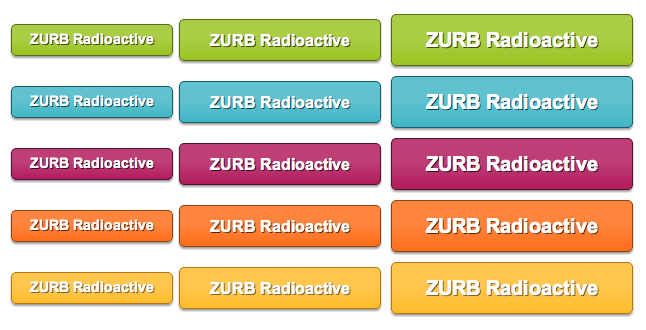 It is very easy to create Gradient buttons with just CSS, and the buttons are scalable based on the font-size. With Gradient, it is also easy to adjust the font-size values and padding. Moreover, the good thing is that it can be applied to all HTML elements like span, div, button, input and more. With Github, you can create buttons that emphasize certain important action or create. For example, you can create buttons with dangerous actions if the button triggers actions like deleting. It also lets you create big buttons, pill-like buttons, group buttons, mixed group buttons and more. If linking social media in style is what you are after, then Zocial Social Media is what you need. These buttons does not need any extra markup and are designed focussing on semantics. If you are in search of sweet looking CSS buttons that look amazingly cool yet flexible, simple and with the most minimalist markup possible. Named after the French word BonBon, which means candy, they look extremely attractive. One of the coolest things about CSS3 is the ability to add RGBA, which is a colour mode that adds alpha-blending to the CSS properties. It also helps streamline the CSS and makes scaling things like buttons very easy. It is possible to create scalable set of buttons with nearly half the CSS than you would otherwise. Make really cool CSS3 buttons with the Chunky 3D buttons. Based on the popular PSD freebies, it is possible to CSS-ify any of the Premium Pixel freebies available for free by Orman. These chunky buttons are just one of the many freebies available.